Blend the dry ingredients until combined. 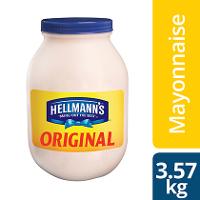 Add the Hellmanns Original Mayonnaise and oil,and combine. Drizzle the eggplant, capsicum and halloumi with oil, season and chargrill. 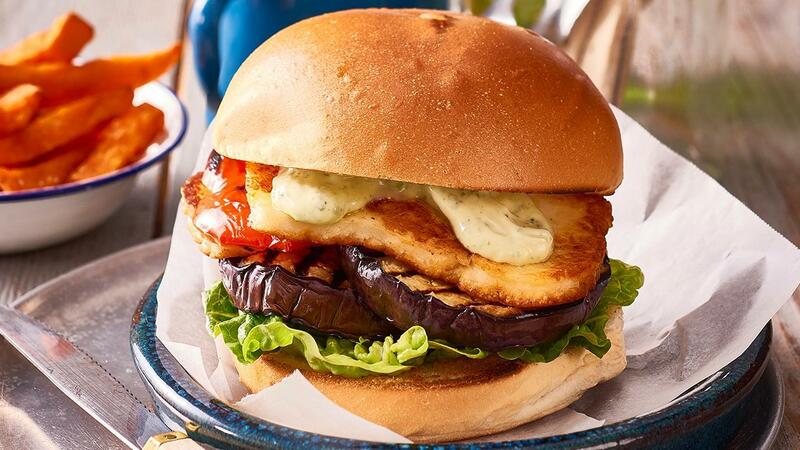 Grill the buns, pace the lettuce on the bottom bun and top with eggplant, capsicum, sliced halloumi, pesto mayonnaise and top bun. Serve with sweet potato fries.